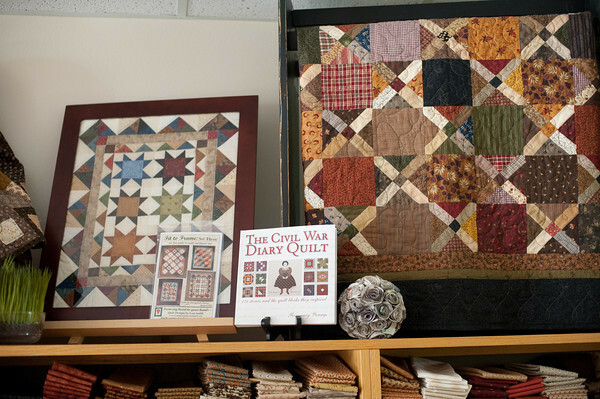 We like to say that, “The Road to a Quilt Shop is Never Long.” I’m sure each one of you would agree that traveling the shop hop is one of the most fun experiences a quilter can have! I promise we’ll make it worth your while to come to Logan! We carry a good mix of both modern and traditional fabrics from designers and companies such as French General, Joel Dewberry, Three Sisters, Joanna Figaroua, Amy Butler, Sandi Hendersen, Lori Holt, Riley Blake, Nancy Halvorson, Ty Pennington, Michael Miller, Bonnie & Camille, Kansas Troubles, Basic Grey, Jo Morton, Anna Griffin and many, many more! 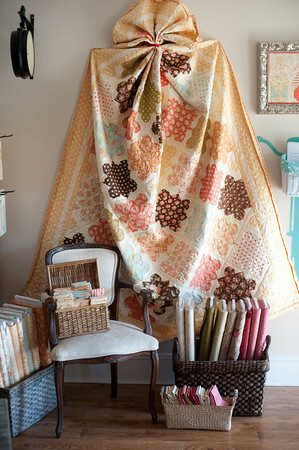 We’re also looking forward here shortly to expanding our offerings to batiks! 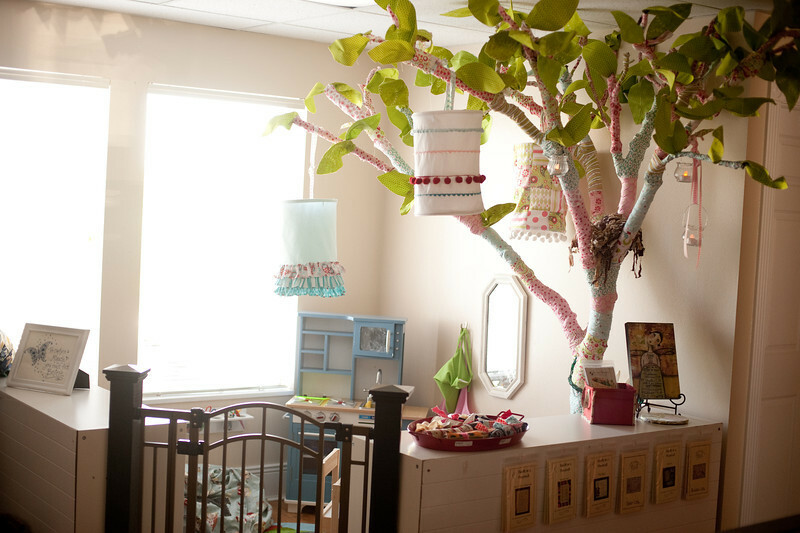 One of the reasons why moms and grandmas enjoy shopping here is because of our children’s corner! And yes, that is a REAL tree! (Covered with fabric of course!) Now you can shop in peace knowing that the lil’ ones are having a lot of fun themselves! And finally, here’s one more pic to maybe peek your interest! We have something very special about to take place just right before you come, so you’ll be some of the first to see what it is! I hope this helps give you a better idea of what our shop is all about! We are so excited to be in it this year with so many incredible shops to see! 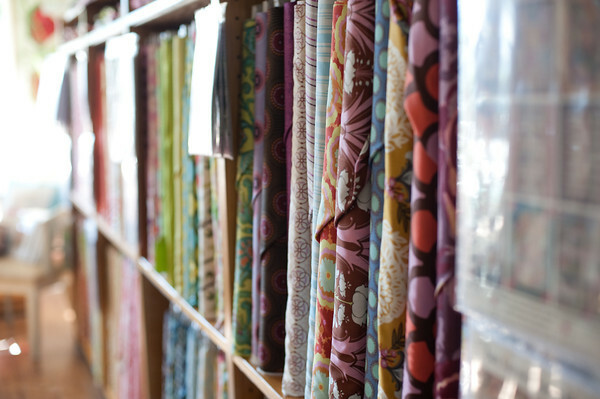 We hope you’ll come see us and our friends at Stylish Fabrics here in Logan, Utah! It will be a beautiful drive this time of year! Love your webpage. I live in Boise, Id and have a small group of fellow quilters that meet monthly. We’d love to go on your ShopHop next year – it’s too late for us to plan for 2012. Can we get on your email mailing list?